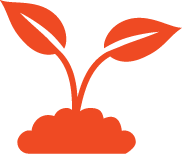 Every church has a set of deeply rooted values or characteristics that define it. We often describe our church’s DNA as being “Gospel-Centered.” This means we believe the Gospel radically influences every area of our lives. There are three primary areas of the Christian life – WORSHIP, GROWTH, and SERVICE. In each of these areas we are called to respond in different ways. Our first response to the Gospel is to follow Jesus upward in worship of the Father. Worship is both a personal and corporate response to God for who he is, and what he has done; expressed in and by the things we say and the way we live. 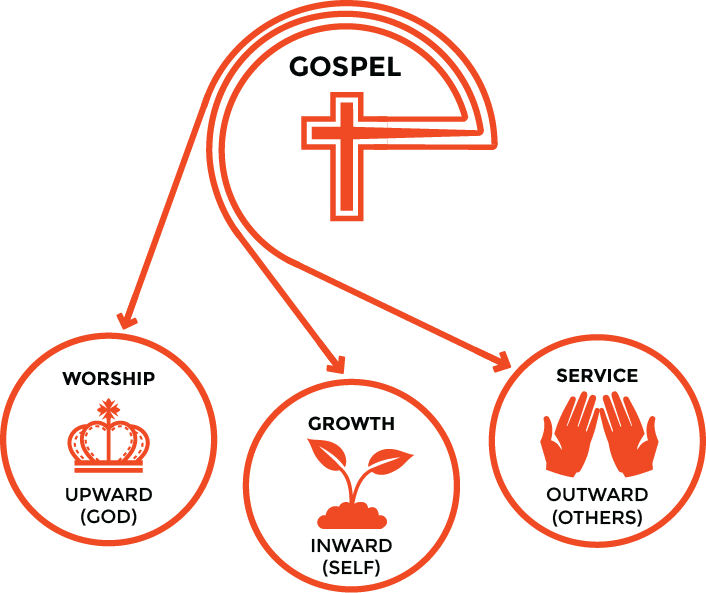 Our next response to the Gospel is to follow Jesus inward through the process of personal growth. We do this by submitting to the Scriptures, practicing the discipline of prayer, and committing to live in community with other believers. One of the most loving things we can do for others is to ensure we are healthy ourselves. Our last response to the Gospel is to follow Jesus outward in service to others. We do this by meeting both the practical and spiritual needs of humanity. Although we have a global responsibility, service always starts at home.